Reap their hearts out and charge in! First of all to reward you for waiting we've decided to add a demo access as an additional Kickstarter reward! 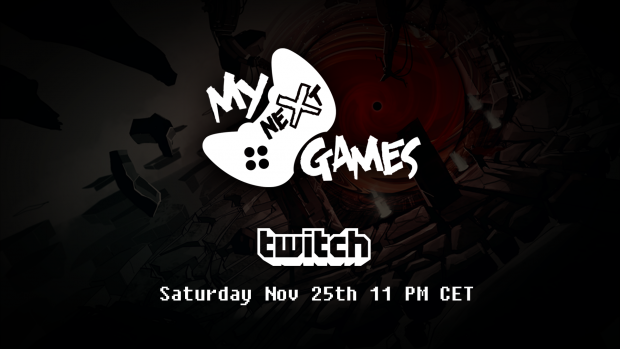 We will send out the demo keys just after the end of the campaign! 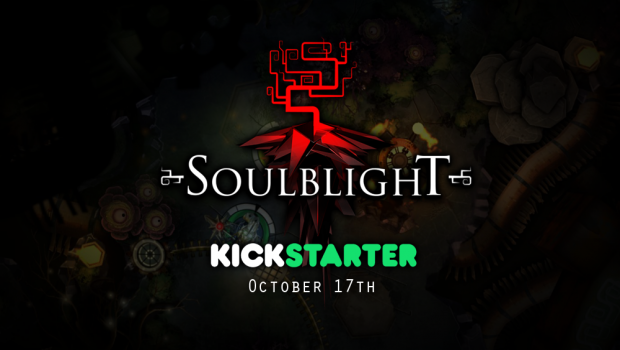 So if you decide to become our backer you will be able to try out Soulblight really soon! One of the main reasons for postponing Kickstarter was the fact that our “More literal approach to RPG” pitch was a bit too abstract to get across without at least two paragraphs of text. However removing this aspect from the game to make it more “promotable” was absolutely out of the question. The only solution was finding a new way of talking about our game. The answer came to us at PAX West. While chatting with all the people visiting our stand we’ve realized that we’ve been focusing on a wrong thing in our pitch. Instead of talking about game’s mechanics we should be emphasizing what we’re actually trying to say with it. 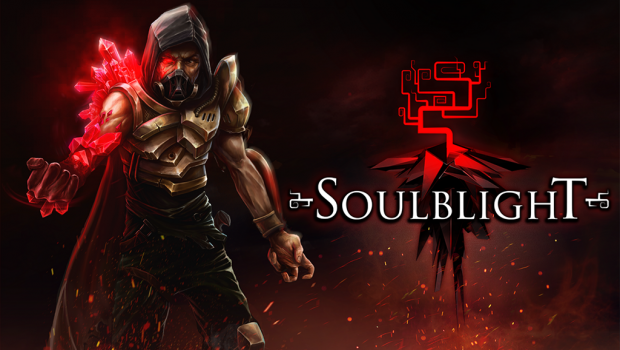 Soulblight is a dark, top-down roguelike luring you to cross the thin line between good and evil. Embrace your flaws to survive a journey through an unforgiving Sanctuary. Gluttony, Lust, Cannibalism - how far are you willing to go? Another thing we’ve addressed was our main art. It wasn’t that we weren't satisfied with the one we had. 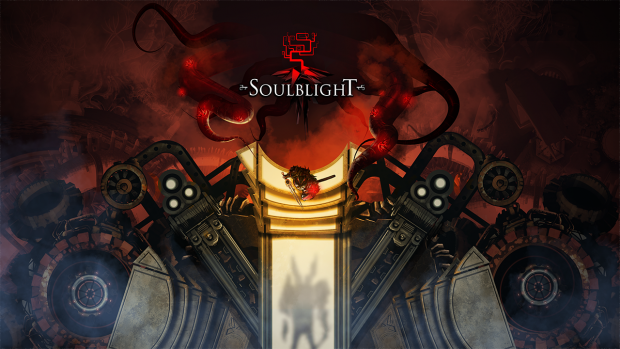 On the contrary we really liked how straightforward it presented the top down perspective and at the same time shown the danger of Soulblight lurking behind the character. 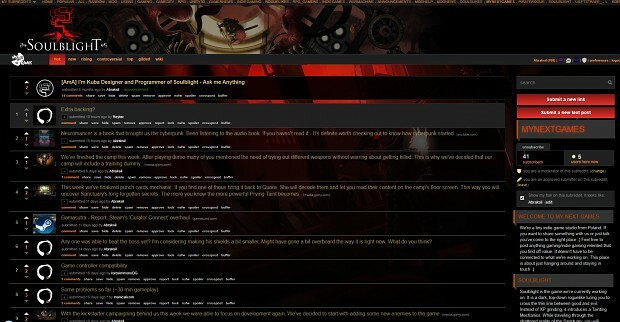 The thing that we considered a problem was the fact that once you scaled it down its readability dropped drastically. This unfortunately was a deal breaker as most of the time the art will be viewed in a crowded social media feed. And so we’ve decided to prepare a new one. This time focusing on the character and it’s transformation into something evil. 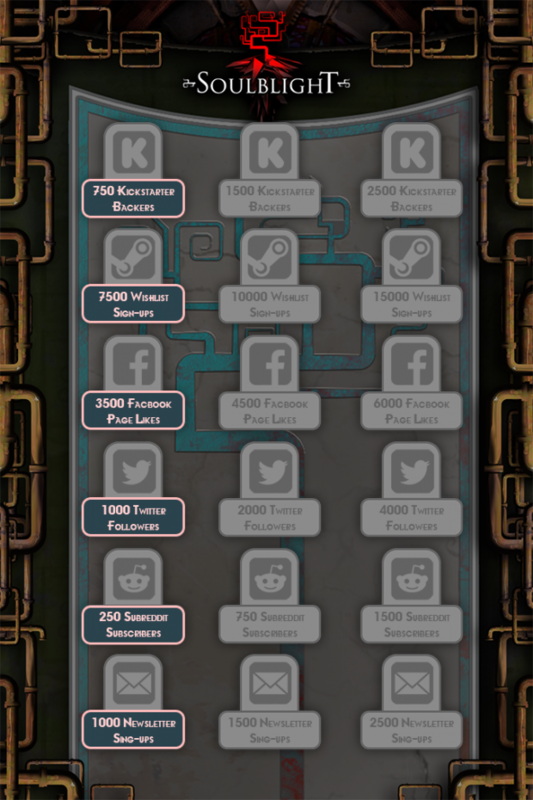 To make our campaign more fun we’ve decided to gamify it a little bit and set up some social goals. Have a look at these three “vaults” we have created. That would be all for today folks I would like to once more thank you for all your support and patience. Especially thank you for all the words of encouragement you sent our way after we were forced to delay our Kickstarter campaign. It meant a lot to us! P.S If you would like to help us with the announcement of the Kickstarter campaign, and you haven’t done so already, don’t forget to support our Thunderclap! Keep your fingers crossed everybody! 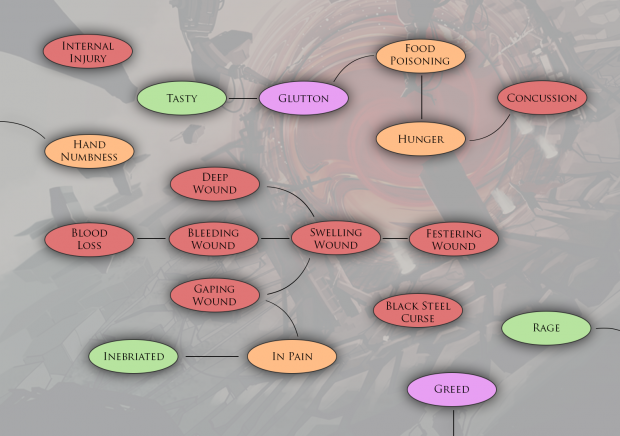 Now let’s talk in more detail about those elements and see how they are represented in our game mechanics. Though stamina management was a relatively obvious thing the same couldn’t be said about the distance control. Video games often do away with clinch combat. This results in removing a lot of tactical depth. Suddenly everything boils down to your attack speed and power. Meanwhile in reality a double handed sword isn’t nearly as useful up close as from afar. When you engage an enemy wielding a heavy weapon he cannot keep swinging while in clinch - he needs to find a way to disengage. To represent this I’ve decided to create a grip mechanic. During combat each character is surrounded by a circle which represent its position on the battlefield. By pressing the button you can light up a front part of it and activate what we call “the grip”. When your grip touches your opponents circle the characters become engaged in clinch combat. This maneuver, besides linking the characters together, also forces them to use a secondary attack. Depending on the weapon this attack might be less or more powerful than the main one. The one who wields a more cumbersome weapon now will be forced to find a way to disengage. The easiest way to do it is by performing a special “slam” action. But be careful this maneuver burns a lot of stamina. Ok this part of the mechanics is explicitly linked to the martial art I’m training . Judo is focusing on the clinch combat and can be translated as “The path of the least resistance”. The idea is that while engaged you need to move in a way to throw your enemy of balance so you can use much less strength to defeat him. 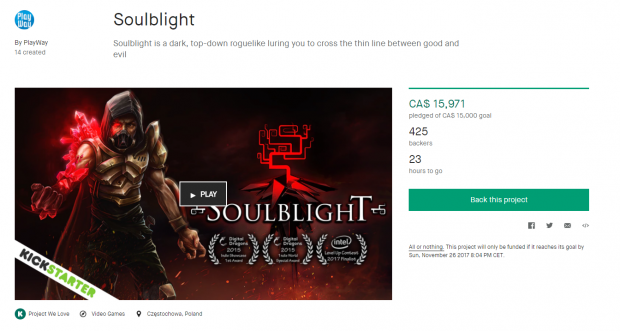 How this idea is implemented in Soulblight? - you ask. When engaged you cannot move away from the enemy but you can move around him. By implementing certain level of inertia depending on how well armored your character is we’ve allowed the faster character to be able to outmaneuver the heavier foes. This way you can get on the back of the heavier opponents and gain a massive advantage. Although it isn’t easy it greatly increases your damage as well as prevents the enemy from hitting you with his attacks. 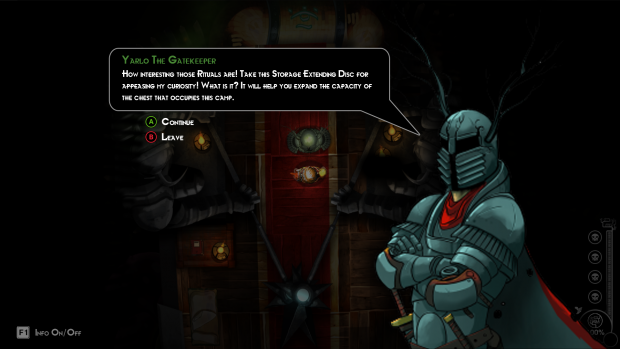 After an update on combat it’s time for the one about sneaking. 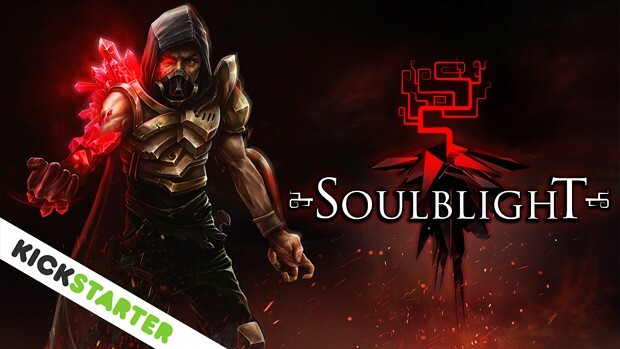 We design stealth in Soulblight to be complementary to fighting. This means that when properly used in combination with fighting it will give you a huge advantage. Let’s start with how exactly Stealth mode works. By holding a button you enter the sneaking mode. What it does is it lowers your speed of movement making your steps silent and at the same time it enables you to see the enemies cones of vision. Now all you need to do is get behind your enemy and snap its neck. The challenge starts when you bump into squeaking terrain like old wooden footbridge - here every step will make a noise. To mitigate that you will have to move even slower with gentle use of the analog stick. To upgrade your sneaking capabilities you can use special equipment that increases your speed or allows you to ignore the loud terrain. There are also the Chrono Inhibitors capable of bending the time itself slowing it down for a moment when you most need it. That would be all for today - hope you like it. Creating a game in which you can express states of character psyche requires designing many different interactions and mechanic through which you can do it. To be able to do everything we want in isometric view we basically would have to create everything in 3D. Unfortunately this takes much more time. The level of gameplay depth we strived for would be very hard to achieve in 3D by the small team like ours. We knew it would most likely mean that we have to either simplify the game or compromise the quality of our art. 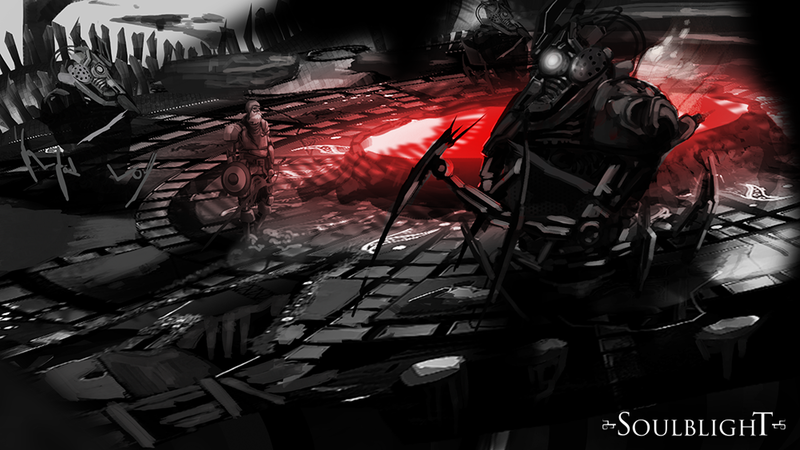 The problem here was a combat mechanic we’ve chosen for Soulblight. We didn’t want for our game to be about button mashing. What we wanted is for the player to always think one step ahead while fighting. Because battlefield positioning was supposed to be a big part of tactics we felt that “Platformer” view limited a bit too much what we could do. Top-down perspective has multiple advantages. 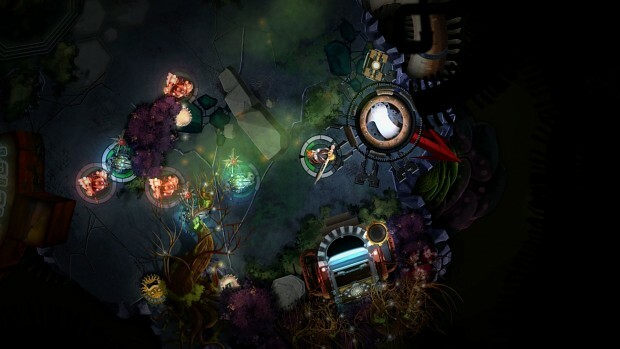 It allows to represent battlefield precisely, players can clearly see obstacles arrangement and distance from enemies. 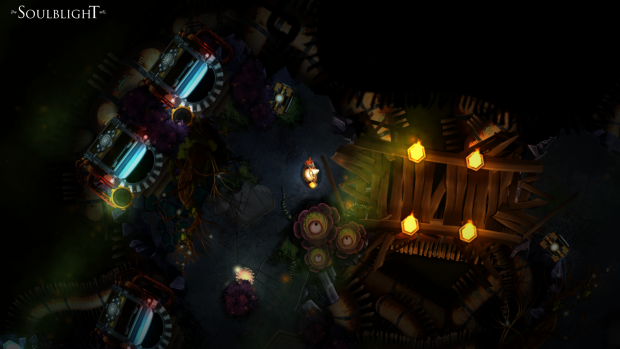 This view emphasizes tactical oriented combat and supports sneaking mechanics. Despite all that, top-down is rarely used in video games. The reason is a difficulty in presenting the in-game world. There are many objects that don’t look presentable in top-down. 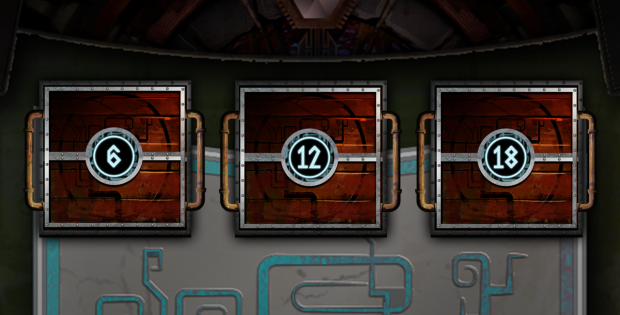 Their geometry doesn’t allow to give us much chance to properly display them. In front view a simple wall is like a canvas on which we literally can put an intriguing painting on, but in top-down - it comes out as a line. To make things even more difficult there is also an issue with a lack of depth. From the very beginning we were dedicated to solving those problems. We didn’t want to give up on all the benefits of top-down just because it was hard. We subconsciously started to design assets with interesting appearance in our perspective. Bridges rather than gates. Pits of pipes in place of columns. Flowery shrubs instead of walls. 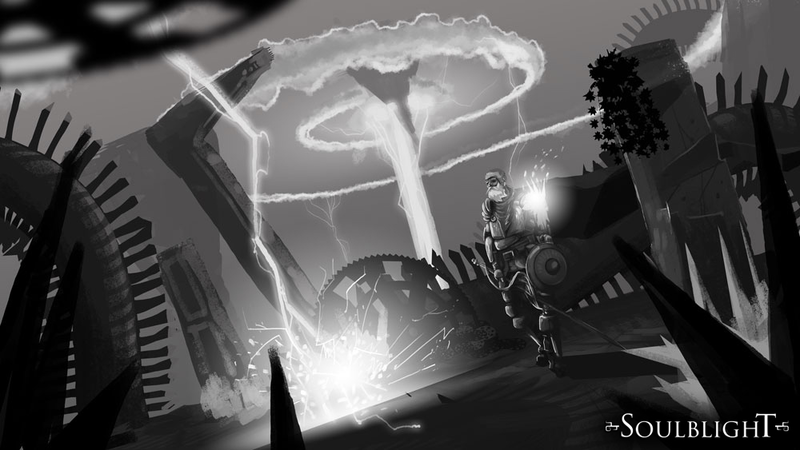 All of this led us to the unique art style of our game. Hope you enjoyed our update! The hunger builds up with the time you play. It starts as a small harmless debuf but can build up to enormous proportion. That’s why It is important to eat regularly especially when you have a concussion injury (it will speed up the healing process). Saving candies for later might be a good idea but their nutritional value isn’t too high. This means that a piece of candy will nullify the hunger just for a short time. It is good thing to have one of these when hunger pins you down before the boss fight. When you run out of food and you’re very hungry you might also consider eating some bad berries. They will give you a food poisoning but sometimes it is better to suffer through it then allow for the hunger to build up even more. If you bump into this dilemma often it might be worth going with Glutton taint. One of it’s secondary mechanics is food poisoning immunity. 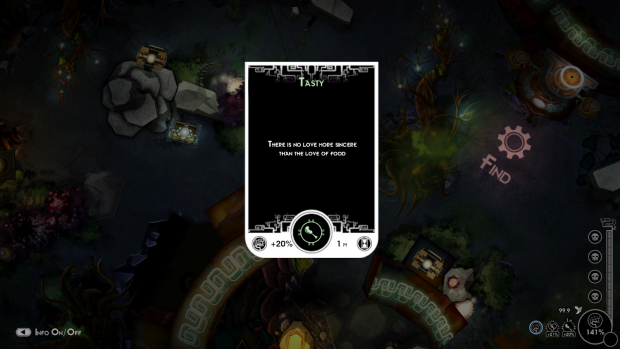 This week we've finalized punch cards mechanic. If you find one of thous little plastic plates during your journey bring it back to Quora the Scholar. She will decode them and let you read their content on the camp's floor screen. This way you will uncover Sanctuary's long forgotten secrets. The more you know the more powerful Prying Taint becomes. This week we've finished putting together the camp. 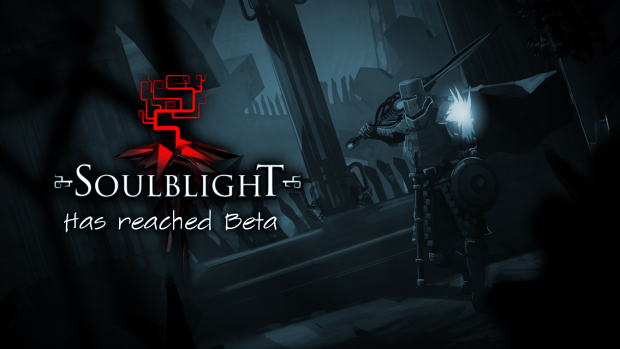 After playing Soulblight demo many of you mentioned the need of trying out different weapons without warring about getting killed. This is why we've decided that our camp will also include a training dummy. 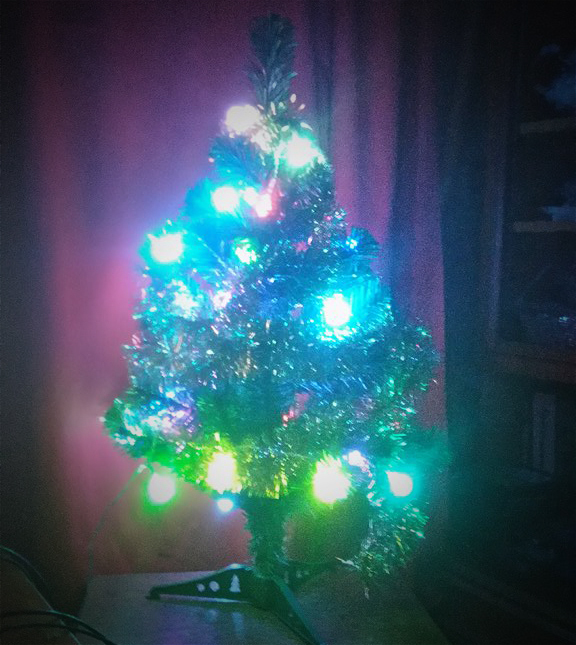 Meanwhile Take care of yourself, have a Merry Christmas and a Happy New Year! Cya around and Have a happy new year! This week's vlog update is a bit late as we're launching Beta Test sign ups today! Now when your character get's wounded it emits a pulse that pushes away all the enemies. You no longer toggle the grip on and off with Y button. You now need to hold LT to have it active. Damage in grip dealt by the main character increased. Intro Update. 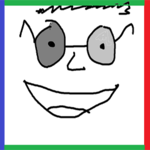 It isn't finished yet as it still lacks the music but it already has a profession voice over. We call thous guys Lost Souls they are the adventurers like you who've lost they're mind in the search of Soulblight. First of all we had a quick fix update focusing on frame rate issues. 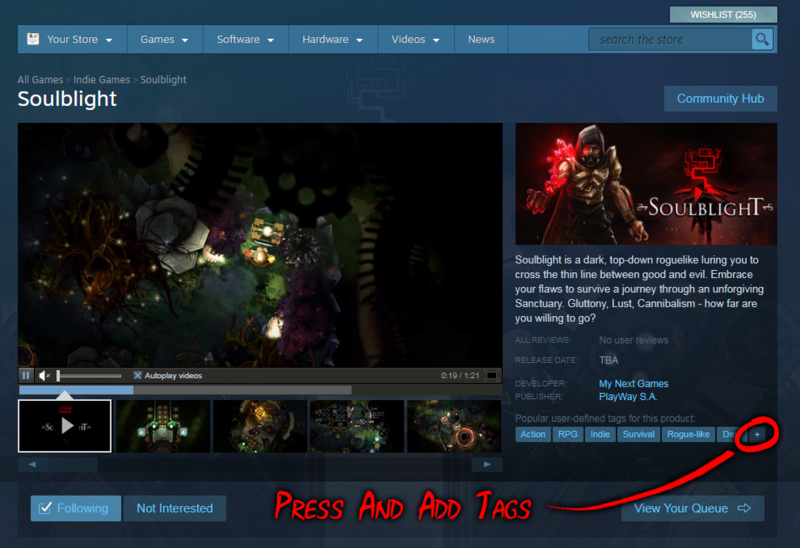 If you've been experiencing frame rate spikes and slow downs you might want to update your testing version via steam. It's almost a tradition by now for me to peeper a gif for our weekly update Today I have one showing a Pyrope Beast warping on top of me when I enter new level. We run two rounds of test in which participated almost 500 people! We’re still going through the feedback but we’re quite satisfied as a lot of people really enjoyed what we’ve prepared The thing with which we were pleasantly surprised was the replayability. 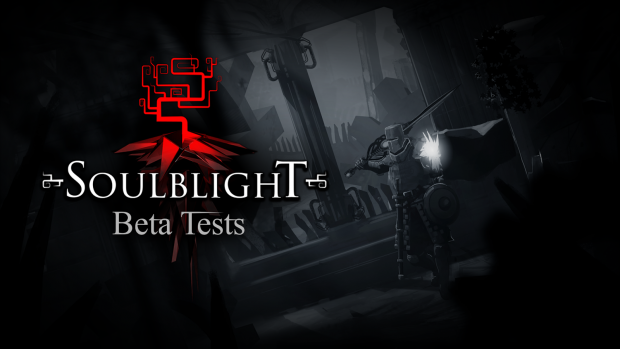 Although the beta test build included only one short level, most of people spend on it way over 1.5h that we anticipated to be the average.